Clark Jones believes comedy is the most beautifully awkward way of telling the truth. A graduate of Atlanta’s Morehouse College and a Cubs fan from Chicago’s south side, he uses his diverse background to relate to any type of crowd, regardless of their background. 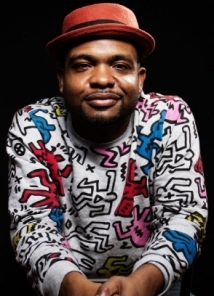 He has been featured at Chicago’s finest comedy clubs, as well as Comix in New York and colleges across the country. He has opened for Joe Torry, Hannibal Buress, and Alonzo Bodden, winner of NBC’s Last Comic Standing. He is a comedy writer for the Chicago Tribune and credits a strong work ethic and desire to put make people “literally laugh out loud” as the basis for his stand-up.